arebyte presents Law's Imagination, an eight-week curatorial residency by Jack Tan that explores the connections between legal and art practice. Through a programme of events, talks, discussions, exhibitions and performances, the programme asks how artistic approaches can unlock or extend the imaginative capacities and capabilities of law. Law's Imagination is a residency presenting Jack Tan's exploration of legal aesthetics via his work as an artist and curator. Through interactions with artists, curators, lawyers, academics, writers and policymakers, the residency will trace connections between law and art. Tan will present the work of other artists as well as his own in various exhibitions of sculpture, video, text and performance throughout the period. Expert and lay audiences will also be able to contribute to the gallery education programme of discussions, talks, symposium and curated walks in a way that pools their knowledge to arrive at collective understandings of the intersection between law and art. arebyte gallery will become a site where knowledge is gleaned about legal aesthetics via artistic and curatorial processes, and where such knowledge accumulated over time is made visible in visual, material and textual presentation. 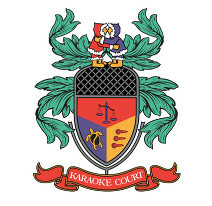 Throughout the residency period, the Gallery will function as the Clerk's Office of Karaoke Court, a performance and arbitration event on 23 June 2016 held at The Yard, whereby 'litigants' resolve their disputes via karaoke singing under binding arbitration. Artists Flora Parrott and Marco Godoy will undertake mini-residencies with open studio exhibitions at the end of their respective weeks. The curatorial programme also includes Packed Lunch, a weekly music and chat radio show that brings together guests from both art and legal worlds to discuss common issues. The gallery education programme of artist's talks, roundtables, panel discussions, is delivered as a mock training course to ‘qualify’ as a Certified Legal Aesthetician , in order to simulate the lived reality of training for qualification and the continuing professional development required in formal legal practice. Care Acts brings together academics in arts, health and sociology, through a methodology of exhibition-making as symposium, to explore how the Care Act 2014 has aesthetically reconfigured carer roles.